Hello everyone! 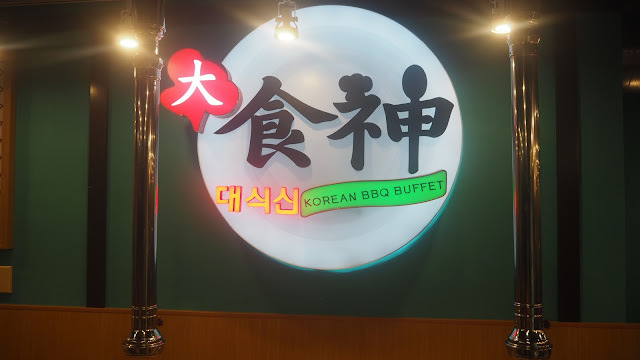 Today, I am going to introduce you guys a good and value for money Korean BBQ Buffet restaurant. 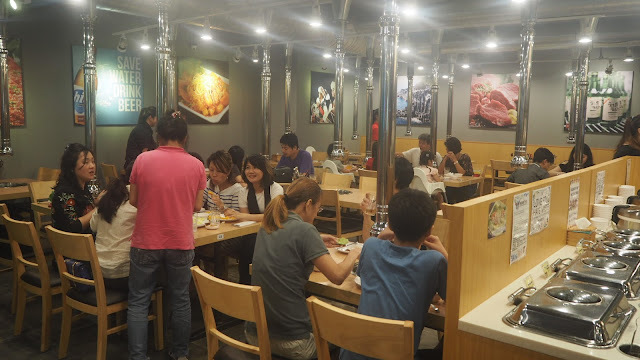 reminiscent of a busy street in Seoul - perfect for friends and family to dine and have a good time. So if you are looking for a place to celebrate a special occasion or culinary change, ask for the special add-ons to augment the barbecue experience. When down to their latest outlet at westmall to catch up with my friends. We decided to have Korean BBQ buffet as I was craving for it. During dinner time, it was so pack in the restaurant. We reached around 8pm and it almost full house. So my advice is to make a reservation with them before coming down for your dinner. The chicken wings was well marinated but it was slightly soggy maybe due to the heat and was live it too long in the heater container. My favourite noodle in Korean cuisine. This glass noodle was slightly disappointing as it was a tad too dry and lack of taste. The sweet potatoes was good. Trust me, you should try it yourselves. Potatoes will love it too. 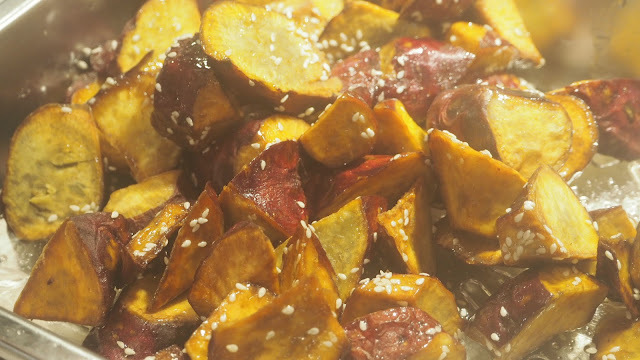 Sweet potatoes and normal potatoes both are good and well fried. Good and worth it. The pork belly was well braised with the aromatic braised sauce. 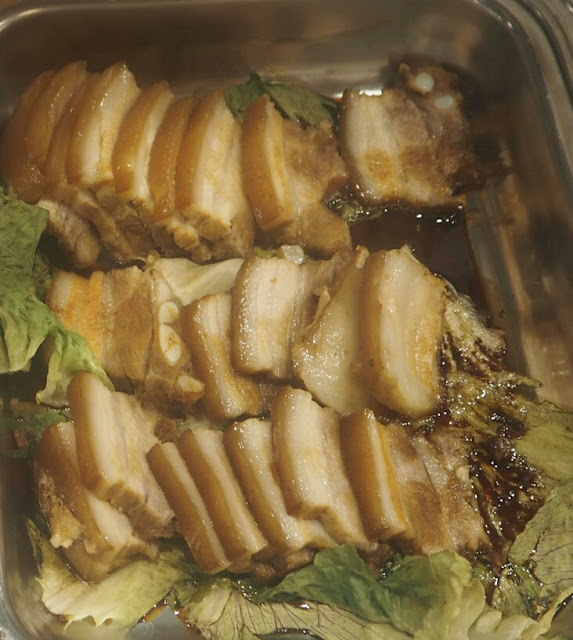 The pork belly was soft, tender, well cover with the aromatic braises sauce and the fats was that fatty and oily. You can add $3 for a bowl of cheese. 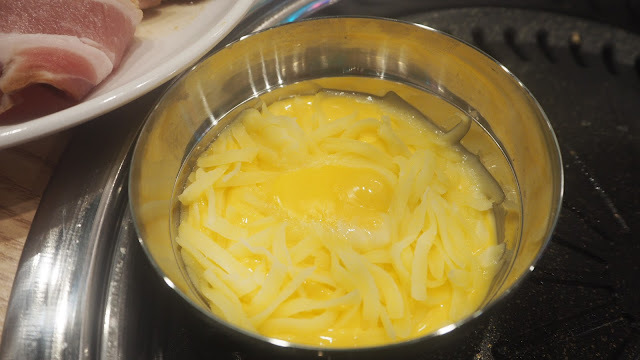 Heat up the cheese on the bbq grill till it melted. The cheese goes well with almost all things. The cheese lover definitely will go crazy about it!! What we had on our table! Feasting all the yummy food and enjoyed it. What is on the buffet station? 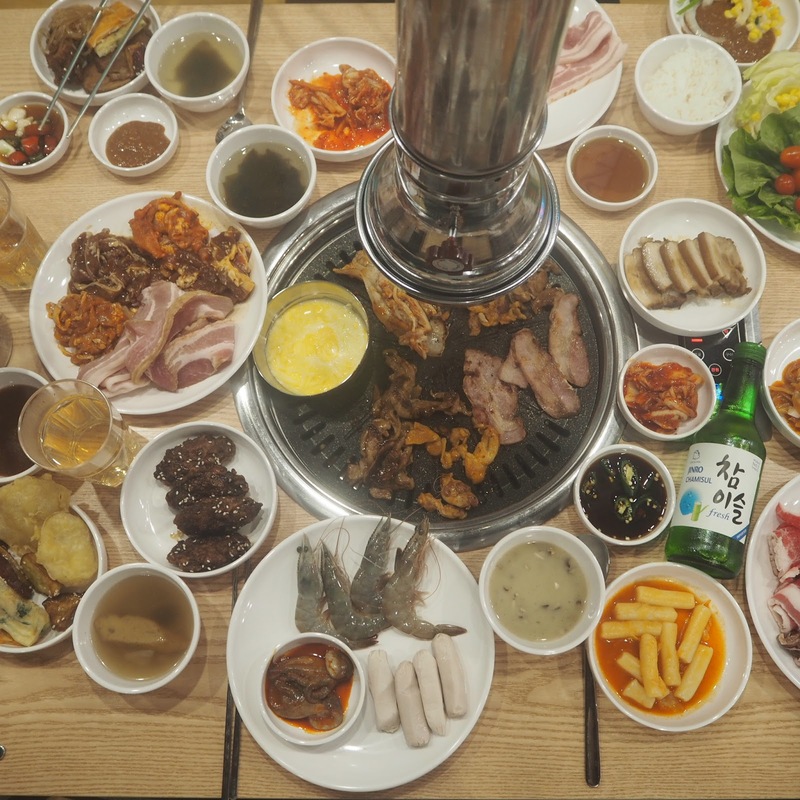 Meats: Pork Belly, Pork Bacon, Pork collar, Marinated Pork, Chicken Bulgogi, Spicy chicken bulgogi, beef bulgogi, beef ribeye, beef short rib, beef short plate. 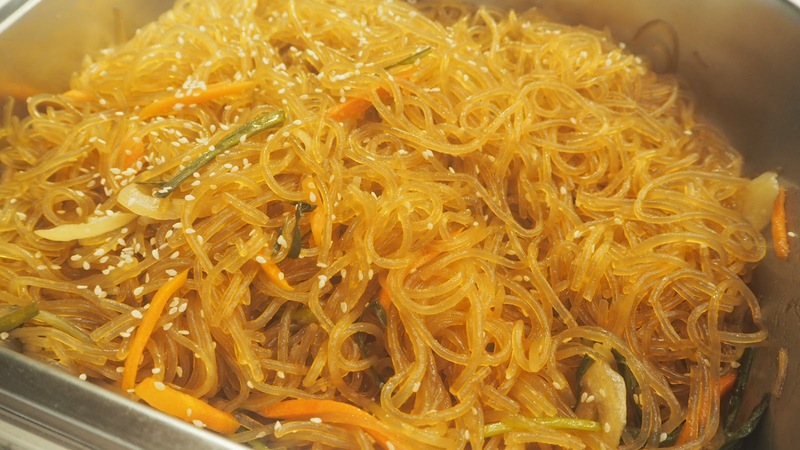 Vegetable, seafood and others: cherry tomatoes, prawn, squid, sausage, corn salad, short mushroom, enoki mushroom, pancakes, spicy rice cakes, orange, kimchi, red bean soup, seawees soup, mushroom soup and fish cake soup etc. 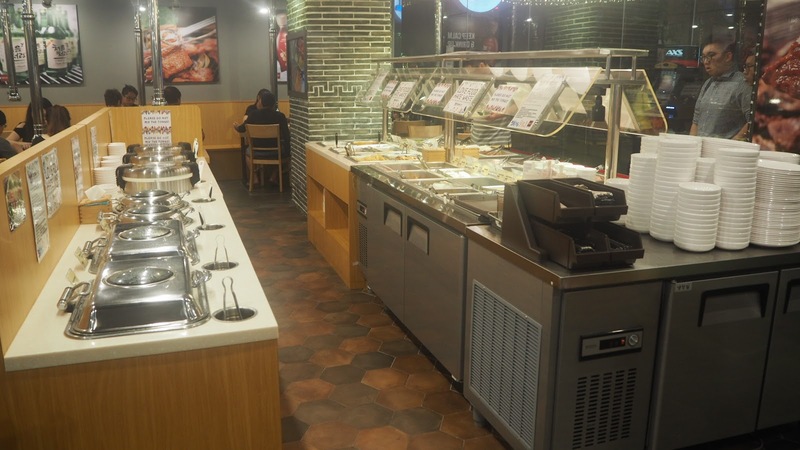 Meats is always my favourite in buffet. I like their spicy chicken bulgogi, beef bulgogi, and beef ribeye. 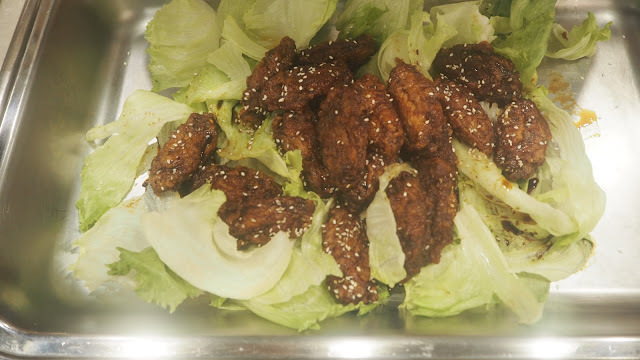 The spicy chicken bulgogi is the must to try, the spicy chicken bulgogi is well marinated and it spiced up your taste-bud. The beef bulgogi is well marinated too, I really their marinated sauce. Try not to grill the beef bulgogi and beef ribeye for too long. Best to eat it at medium texture. Try to dip with the melted cheese, it will give you different taste. Lets me introduce you to another restaurant by MOF. Tensho (天勝) by MOF, a Japanese specialty tendon restaurant provides wholesome and quality tempura donburi (Tendon) at affordable prices. Tensho serves up two types of Tendon, each a complete meal served with chawanmushi and miso soup. Hitomebore, (見鍾情米) one of the top grades of rice in Japan is selected for the shiny white texture and fragrant taste to augment the fresh and juicy seafood, vegetables and Onsen egg used in this value-for-money bowl. 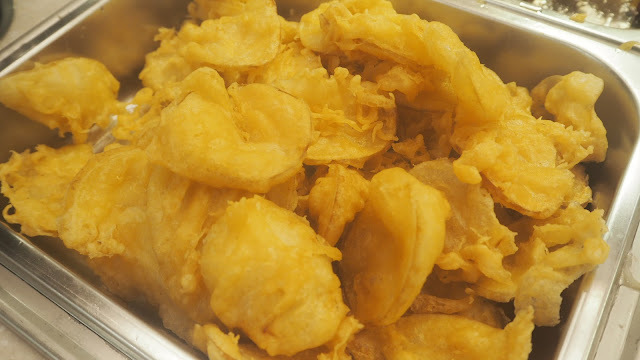 The accompanying special and savoury-sweet home-made sauce pair wonderfully with the delicate tempura. Onsen egg and vegetable tempuras on premium Japanese rice served with Chawanmushi and Miso Soup. 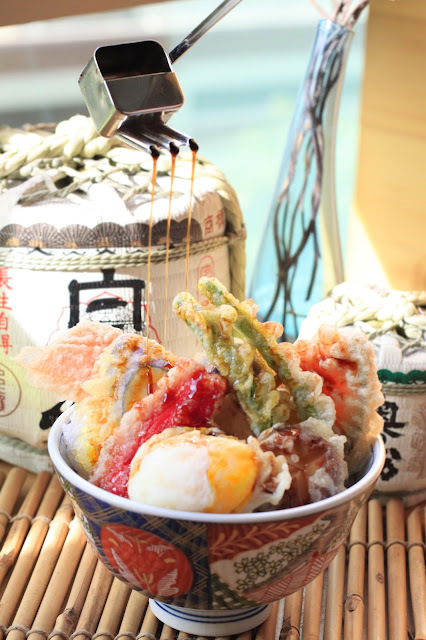 Sea Eel, Ebi, Onsen Egg & Vegetables tempura on premium Japanese rice served with Chawanmushi and Miso Soup. Chef Sonoda Kazunori Culinary Head Chef, Japanese Division, Ministry of Food At age 21, Chef Sonoda Kazunori started his culinary career by working his way through different restaurants in Japan. His continuous passion and love for the culinary arts led to his decision of relocating to Singapore to embark on a new journey to pursue his dream to be a top chef. Food. He is dedicated to the world of culinary arts and aspire to continuously raise the culinary standards in Singapore. popular Japanese rice-bowl that serves as a quick and inexpensive staple meal. Hitomebore Rice Hitomebore, (見鍾情米) or “love at first sight” is the second most popular home-grown short-grain rice from Miyagi prefecture, Koshishikari, Japan. Do check out my instagram for a giveaway contest! Contest Deadline: 4th of Dec 2016. Like my Facebook Page and follow me on Instagram @Jthejon for the latest updates! Do drop me an email for Event invitation / Food tasting/ Sponsor/ Advertising or any other enquiries.